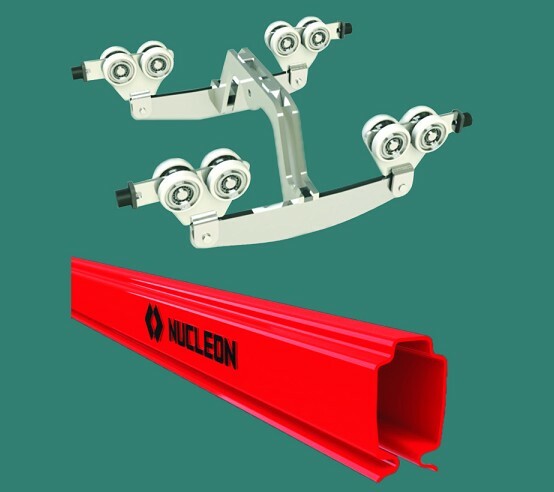 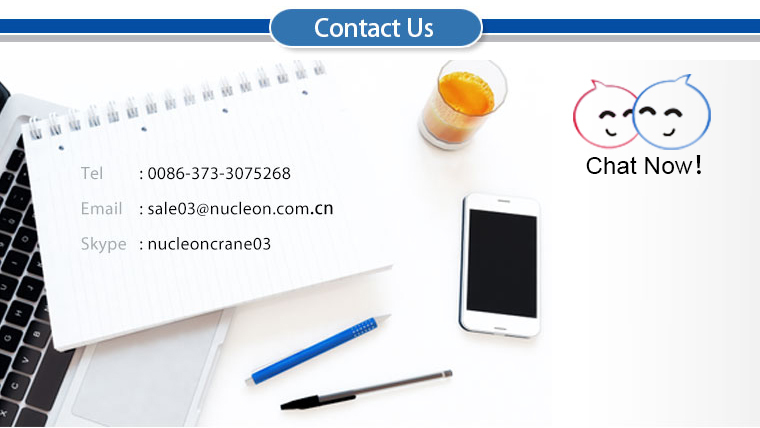 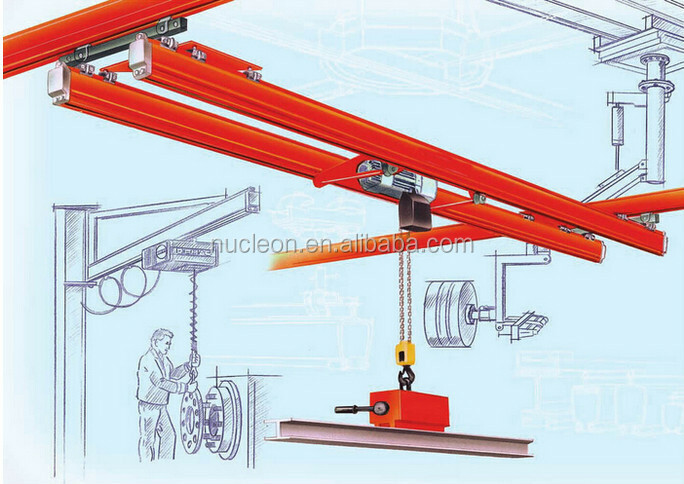 Nucleon KBK Overhead Crane is composed of the suspension device, rail, turnout, walking trolley, electric hoist, mobile power supply device (bus bar) and control device etc. 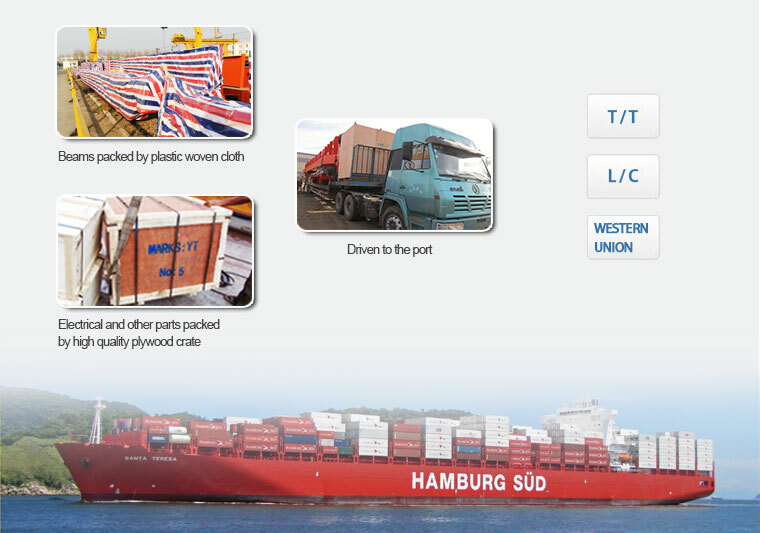 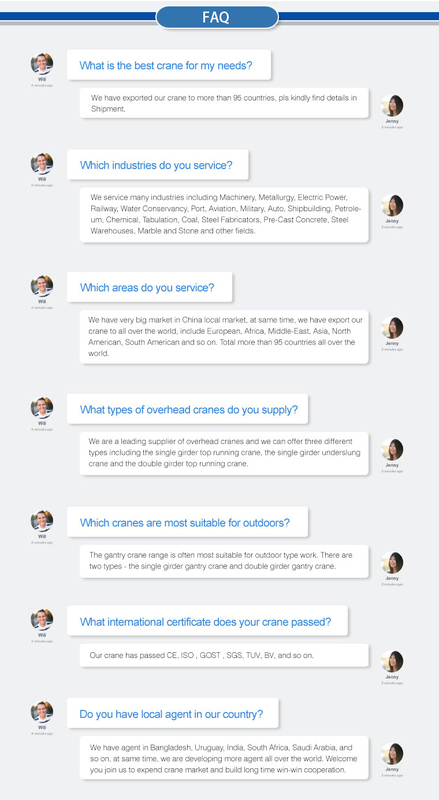 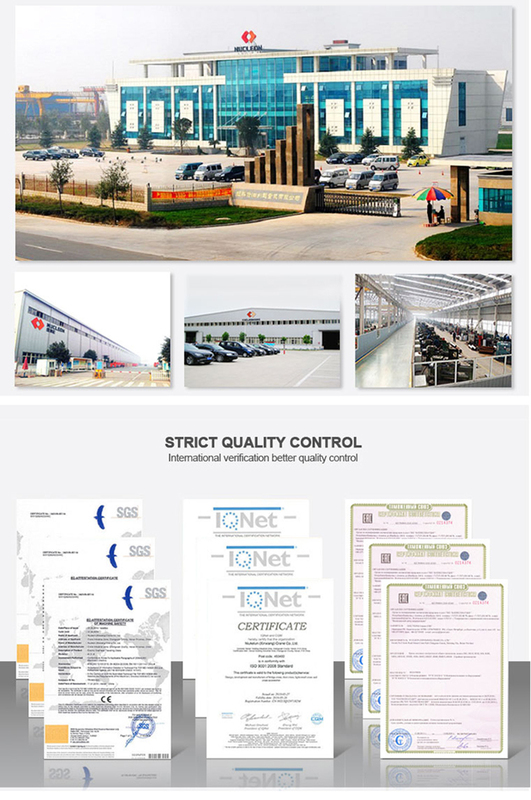 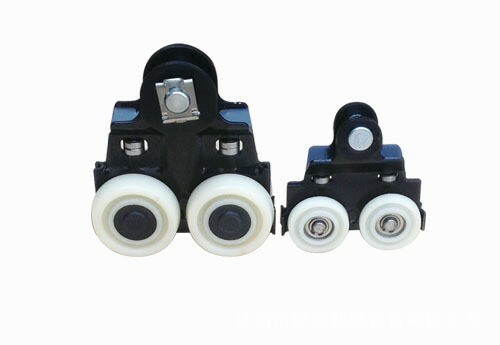 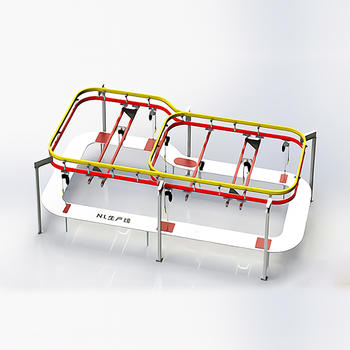 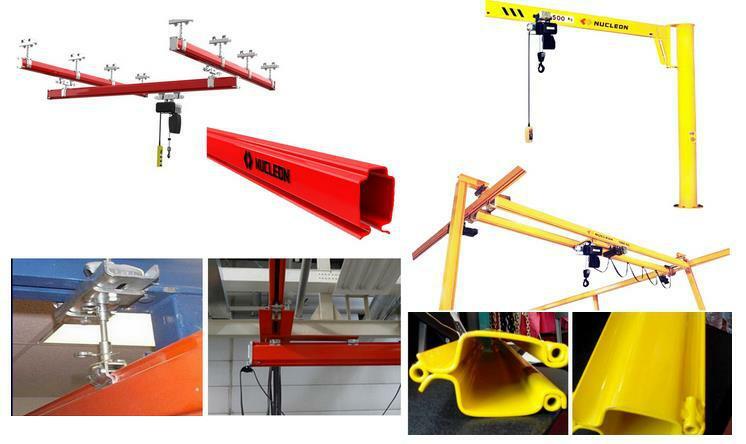 Because this product could simply hang in the workshop roof or beam frame, it can realize the material directly transportation in the air, therefore, it is widely used in all walks of life conveying link or system. 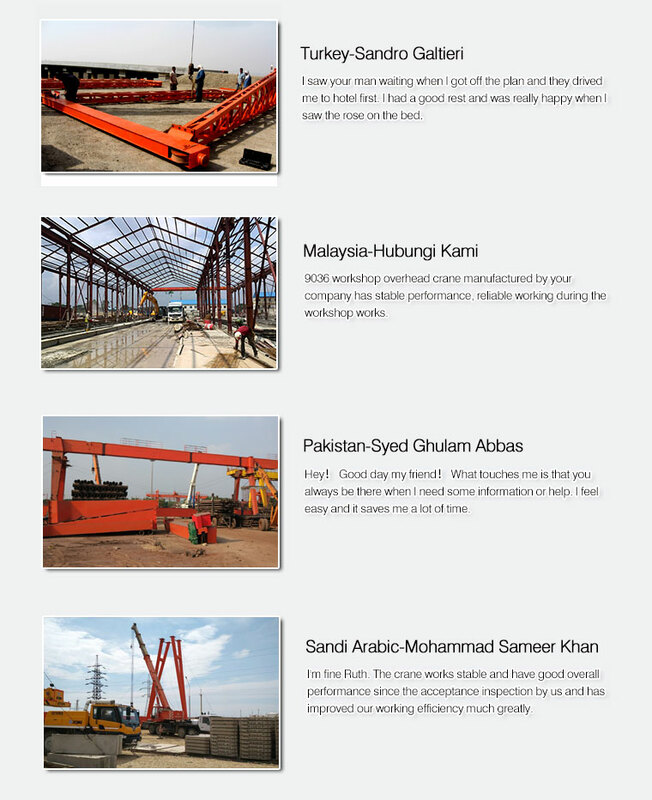 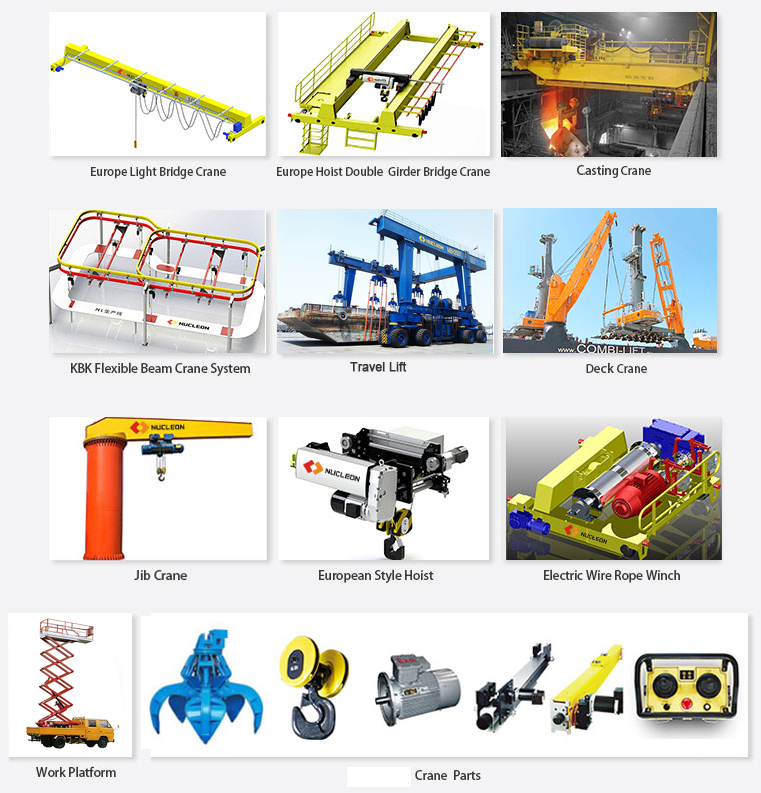 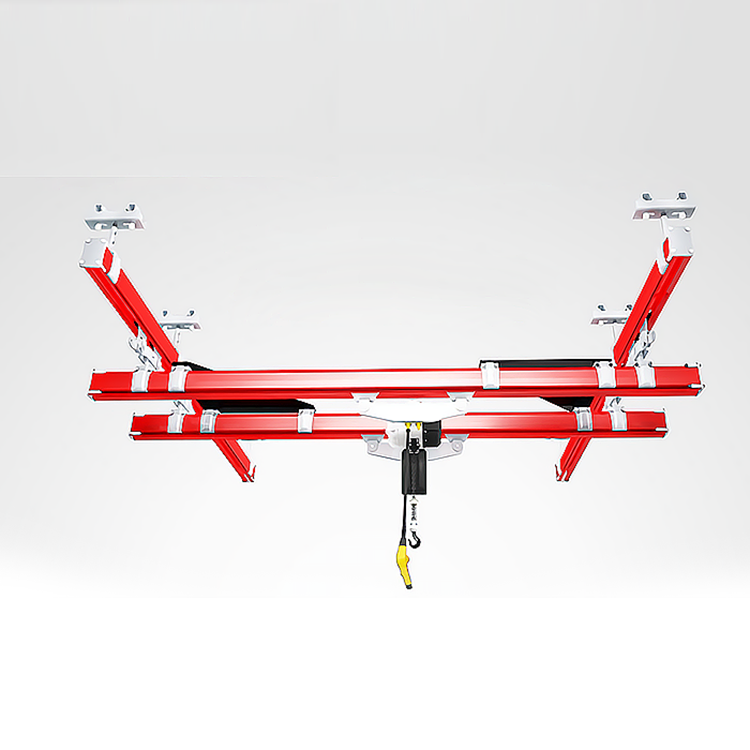 KBK soft and light combined type including KBK single beam, KBK double beam , KBK monorail suspension crane, KBK stacker, KBK boom crane etc every kinds of crane equipment, mostof them all mach NL type chain hoist, and adapt to a very wide range.